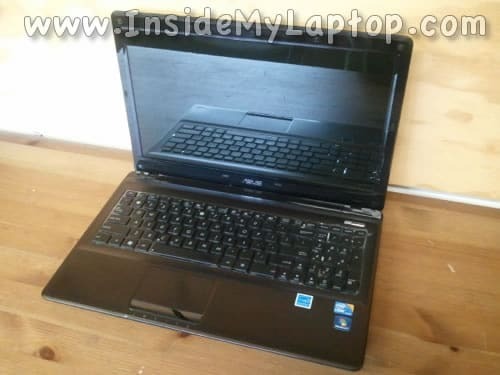 In this guide I’ll be taking apart an Asus K52F laptop. STEP 1-4: Removing the bottom cover and accessing main internal components. 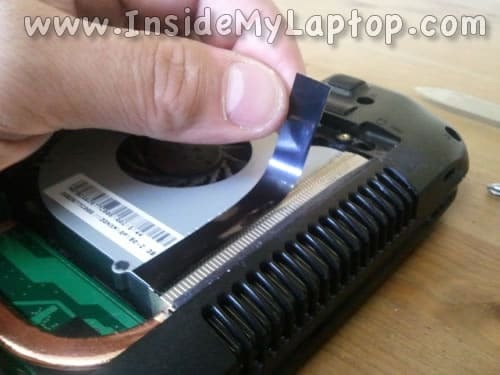 STEP 5-11: Remove the optical drive, hard drive and fan. 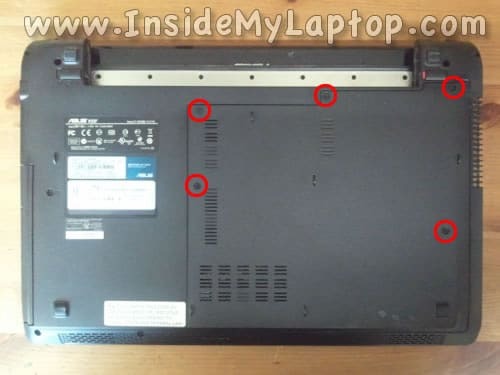 STEP 12-19: Disconnecting and removing the keyboard. 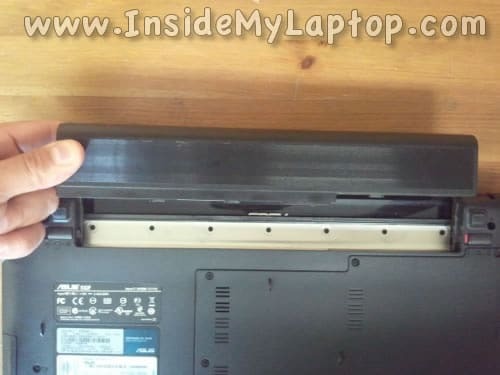 Remove five screws securing the cover on the bottom. 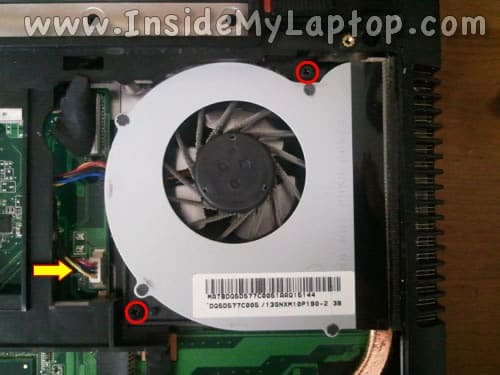 – CPU cooling fan and heatsink. 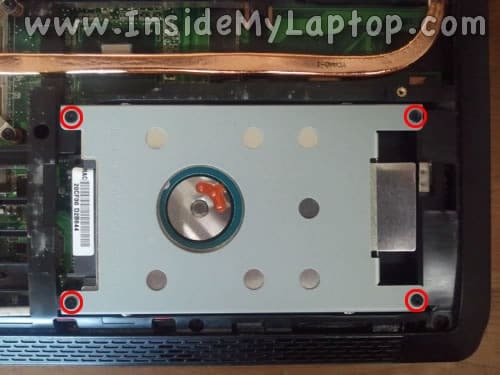 Remove four screws securing the hard drive mounting bracket. 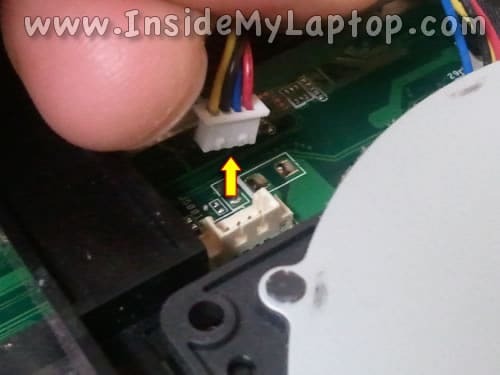 Slide the entire hard drive assembly to the right to disconnect it from the motherboard. 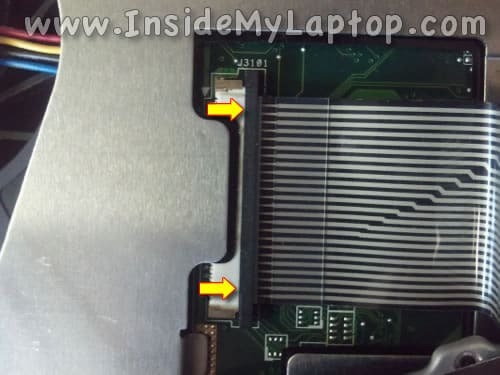 Remove two screws securing the CPU cooling fan. 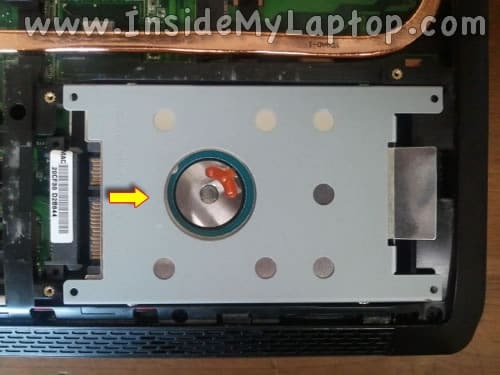 Here’s how to disconnect the fan cable. 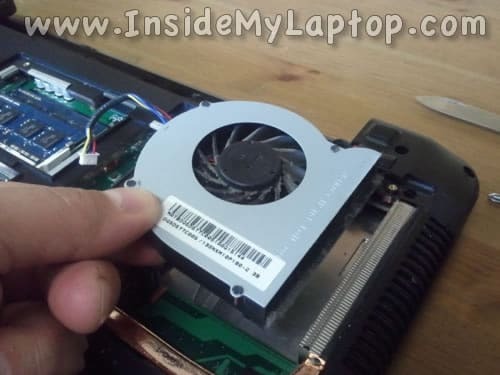 Remove the black tape between the cooling fan and heatsink. Lift up and remove the CPU cooling fan. 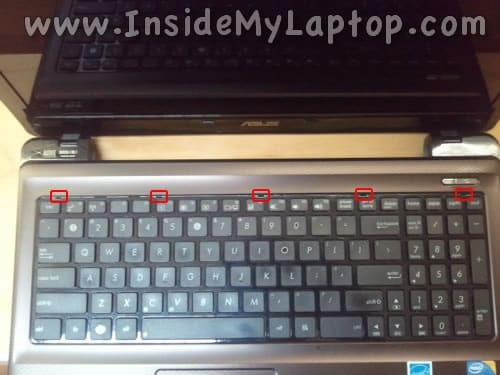 Now I’ll remove the laptop keyboard. 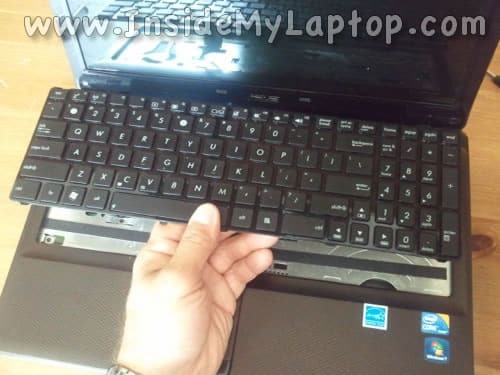 NOTE: It’s not necessary to go though all previous disassembly steps in order to remove the keyboard. Push on the first latch using a small flathead screwdriver. 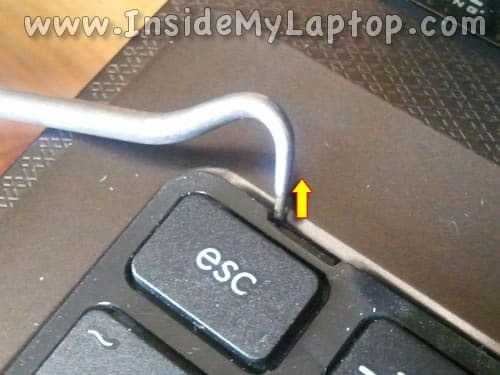 While the latch pushed in, insert a sharp object between the keyboard and top case and lift up the keyboard a little bit. 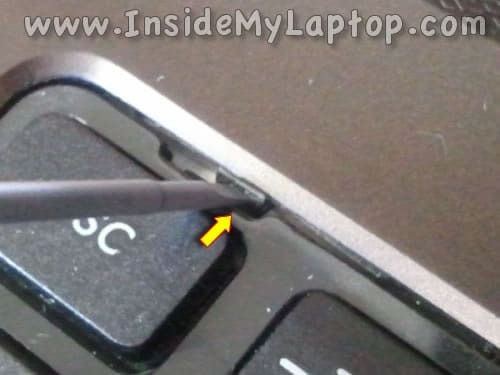 When you lift up the keyboard, it will not allow the latch to lock back in place. Unlock all other latches using the same technique. After all latches unlocked you should be able to lift up the keyboard. Turn the keyboard upside down and place it on the palmrest. 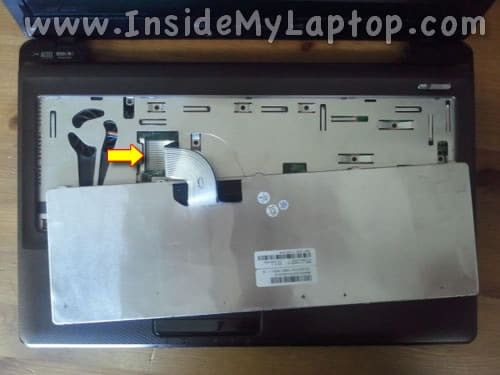 Before removing the keyboard it’s necessary to unlock the connector and release the cable. – Black cable retainer (moving part). Slide the retainer about 1-2 millimeters to the shown direction. Do not move it any further. The retainer must remain connected to the base. Now you can pull the keyboard cable and unplug it from the connector. 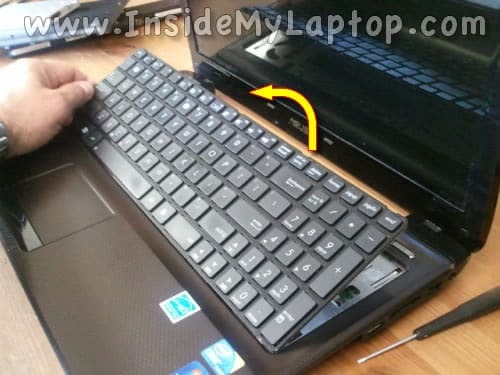 Finally, you can remove the keyboard and replace it with a new one if needed. 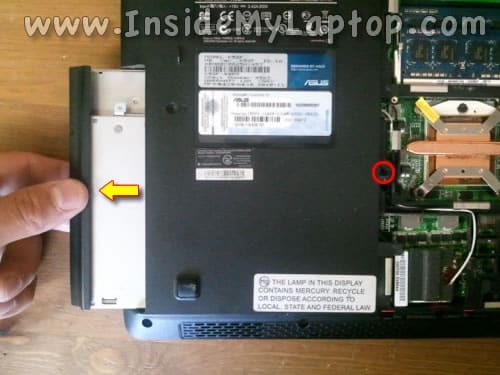 I have asus laptop…and its DVD writer …a spring is found me inside the DVD box detached with 2 metallic bars….i dont know how to fix it to get work again …could you pleaseeee help me….how to do…..what is the actual mechanism for DVD drive..so that i can figure out from where it has been displaced ? All drives are different and I don’t have instructions for fixing DVD drives. Probably it will be easier to replace the whole drive. 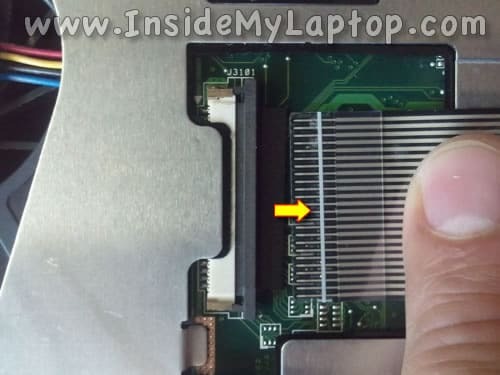 Is the processor detachable / replaceable? Im planning to buy a higher processor for my k52f. Is it possible to upgrade the CPU?